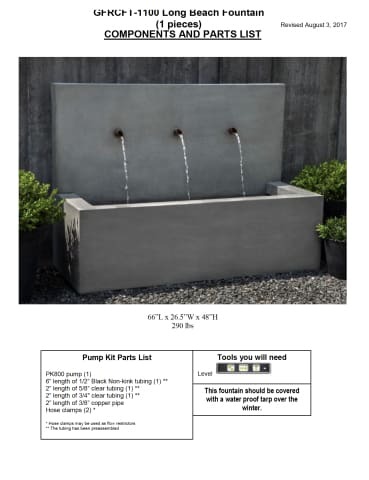 The Campania International Long Beach Fountain is an ideal of the patio fountains. The gentle sounds of water cascade from the water spout falling to the large round basin. Total weight is 290 pounds. Free Shipping on 10-14 days via LTL Freight delivery. All Campania International pieces are stained to order. This process takes 10-14 business days to complete and to prepare for safe shipment. 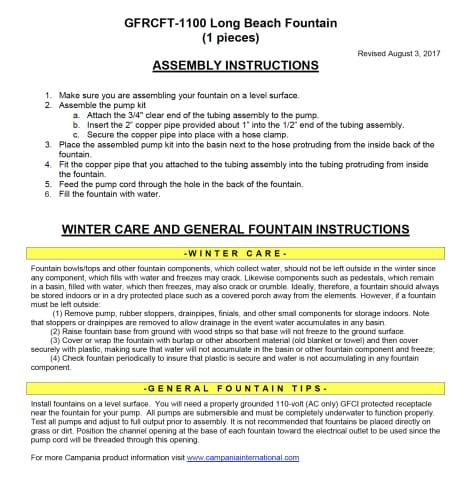 Order the Campania International Falling Water Fountain I with free curbside delivery to your home from TheGardenGates.com today.